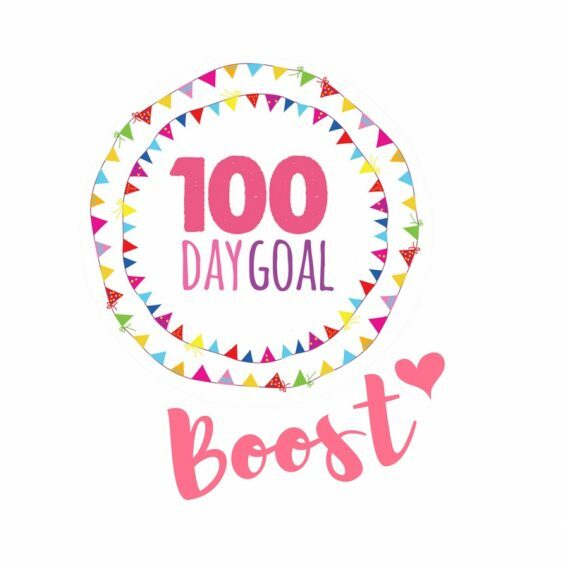 So happy that you’re thinking of doing our 100 Day Goal BOOST! Here’s some info to help you decide if it’s the right thing for you. The 100 Day Goal BOOST is a series of 118 short daily videos. They are designed to make the 100 Day Goal easier for you, because while the 100 Day Goal concept is simple, beating the things that get in the way, like procrastination, overwhelm, fatigue and all the other LIFE stuff, is not a piece of cake. The BOOST videos give your super-practical tools to help you get through this! The videos start before the beginning of the 100 Day Goal, with tips to help you get ready. There are more than ten warm up videos to help your set your goal, decide your Microactions, and generally get yourself prepared! Where has all my time gone?! The videos will come to you as a link on the normal 100 Day Goal daily email. I don’t want to flood your inbox with extra emails! You don’t have to watch (or listen) to the videos on the day you get them as you’ll have access to them for the whole of the 100 Day Goal, BUT they do work better if you watch them daily! Full 100 Day Goal BOOST membership costs $100 but if you use the code ifyoucandreamityoucandoit you can get it for just $40 (£25).